The sensation of noise or resonant in the ears is known as Tinnitus. Nowadays it is a very common problem among people, according to a report tinnitus affects about 1 in 5 people. Although, it is not a problem but a sign of an underlying problem, such as age-related hearing loss, ear injury or a circulatory system disorder. You can never get relief in tinnitus. A person suffering from tinnitus constantly hear ringing, buzzing, roaring, clicking, and hissing in the ears. Nobody else but a person suffering from tinnitus hears that noise as it does not come from an external source. The disturbing sound may differentiate in pitch and it can be in one or both the ears, it may be present all the time or it may come and go. Some general problems among tinnitus patients are Sleeping problems, Persistence, Hearing problems, Annoyance, irritation, and Hyperacusis (High-frequency sound). There are two types of tinnitus: Subjective tinnitus and Objective tinnitus. Subjective tinnitus: Subjective tinnitus is the most common type of tinnitus. It is that type of tinnitus in which only you can hear that phantom sensation. It can be caused by not only the ear problems in the outer, middle or inner ear but also auditory nerves or the part of the brain that interprets nerve signals as auditory pathways. Objective tinnitus: Objective tinnitus is that type of tinnitus in which your doctor can also hear that phantom sensation during the examination. 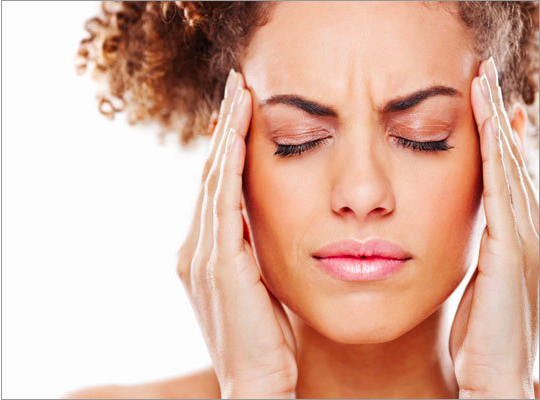 It may be caused by a blood vessel problem, a middle ear bone condition or muscle contractions. The root cause of tinnitus may differ. But oftentimes tinnitus is caused by susceptibility to noise. On the other hand, inner ear cell damage is also one of the most common causes of tinnitus. Working in a noisy environment for years without using precautions, may increase the risk of developing tinnitus and hearing loss as well. Earwax blockage: No doubt, earwax guards the ear canal by seizing dirt and reducing the growth of bacteria. Conversely, when the excess of earwax assembles, it results hearing loss or irritation of the eardrum, which can lead to tinnitus. Head injuries or neck injuries: Inner ear, hearing nerves or brain function linked to hearing, can be affected by head or neck lesions. Some of these traumas usually cause tinnitus. Blood vessel disorders connected to tinnitus: Sometimes, blood vessel disorder results in tinnitus. This type of tinnitus is known as pulsatile tinnitus. Factors like age, cholesterol buildup, hypertension, and factors that increase blood pressure, such as stress, alcohol, and caffeine, can result in tinnitus. Medications that can result in tinnitus: Sometimes ototoxic medications including Antibiotics (polymyxin B, erythromycin, vancomycin, and neomycin), Water pills (bumetanide, ethacrynic acid or furosemide), Quinine medications, and Aspirin, can also cause tinnitus. Hearing Aids: Hearing aids can help you with hearing loss as well as tinnitus. It can support you in tinnitus as many hearing aids today even includes in tinnitus therapy features. Bedtime: Tinnitus affects the most when the person suffering from tinnitus, sleep in a silent room. Sleeping with the music can help to mask the tinnitus noise until you drop off to sleep. Professional Consultation: Professional consultation is very much necessary for a person suffering from tinnitus. First of all, the doctor will fully examine your ears along with nerves around the face and ears in order to rule out an underlying ear problem. First of all, we would like to tell you that at the Audiology clinic all the treatments are performed by the Doctor of Audiology, Dr. Deepak Kumar. Firstly, we take a complete diagnostic audiology test of the patients and on the basis of their report, suitable hearing aids recommend to the patients. Our Audiological assessment includes basic audiometric testing, speech audiometry, tympanogram, acoustic reflexes and decays, otoacoustic emissions (OAEs), auditory brainstem response (ABR), help in identifying nature and cause of tinnitus. Additionally, we offer therapies like Cochlear Implant/Electrical Stimulation, Drug therapy in order to treat tinnitus.